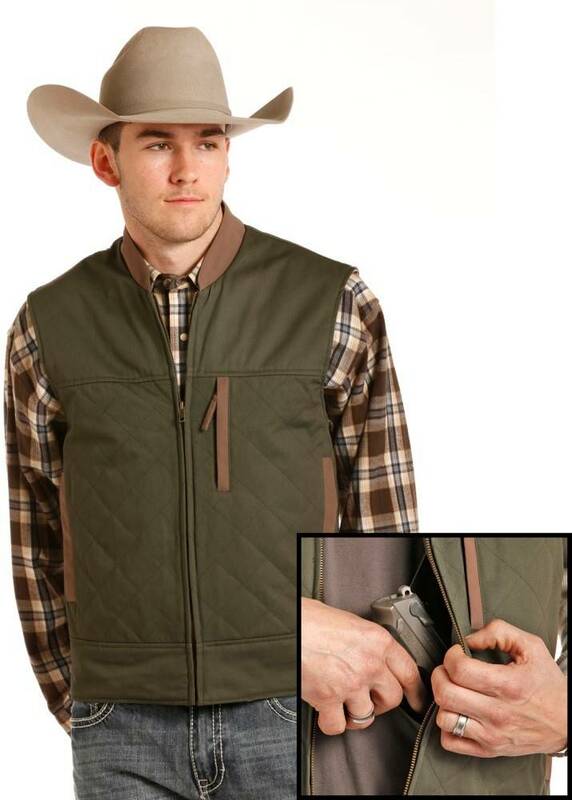 Men's Brushed cotton twill conceal and carry quilted vest. Picture is shown green but we stock black with tan collar. 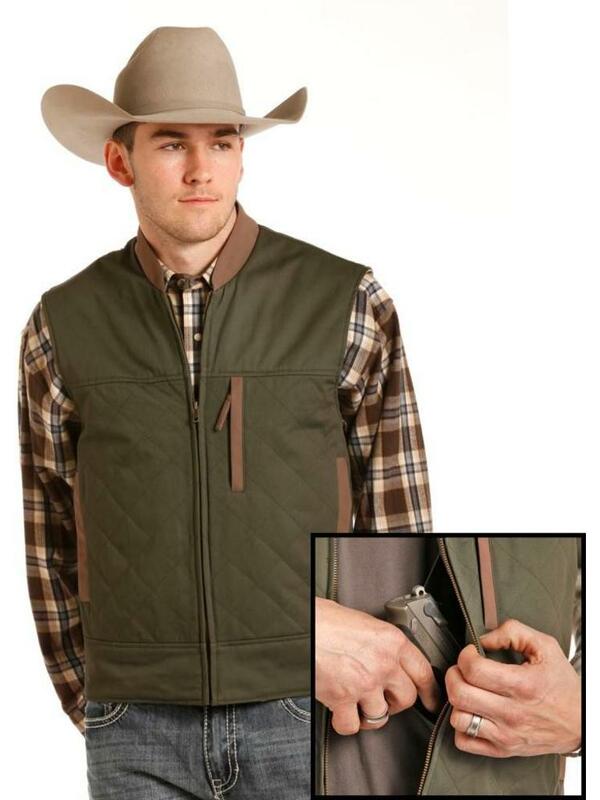 FULL ZIP FRONT AND WELT POCKETS.